Paragon Star incorporates the highest quality synthetic turf fields connected to retail and restaurants neighboring office and multifamily space, as well as a 120-room hotel. Youth sports tournaments are expected to bring hundreds of thousands of visitors to the area annually. Bill Brown and Christine Bushyhead shared details of the project with CREW KC members last week. Lee’s Summit will soon be home to the finest, state of the art sports complex in Kansas City -- maybe even the country -- as a development team steps forward with a $212 million plan to capitalize on the burgeoning youth sports travel industry. That’s the testament of Bill Brown, president of Spectrum Strategies and part of the development team behind Paragon Star, a 77-acre project in Lee’s Summit that he says will create an exciting new gateway to the city and an unparalleled setting for youth sports and the families and dollars behind them. Brown says it’s also a way for Eastern Jackson County to finally capitalize on money they’re losing to the areas like Country Club Plaza, Zona Rosa and Park Place Leawood. Led by serial entrepreneur Flip Short, the project has been more than five years in the making, as stakeholders pieced together the necessary pieces of land and assembled a complex financial incentive package. The name “Paragon Star” is a nod to the five components of the project -- recreation, residential, entertainment, office, and restaurants. It’s part of an overall 300-acre master planned development that will occur in three phases. The team worked with the City of Lee’s Summit to conduct a joint feasibility study with RERC, which estimated the project could support 139,000 square feet of retail and services; 33,000 square feet of restaurants; and 42,000 square feet for an entertainment venue, as well as a 100-room hotel. Now, based off that study, the team is putting together its plan. Here’s what it looks like. Plans originally called for an 8-screen theater to be included in the retail portion of the project, but those plans were axed in favor of more bars, restaurants, and entertainment venues. The first phase of the project is centered on 10 lighted, multi-use synthetic turf fields, one of which will be a championship field that will seat between 3,500 and 5,000 spectators. It will include a 23,000-square-foot clubhouse and sports bar, and viewing deck, as well as eight sand volleyball courts, designated warm-up areas, and spectator shade screens. Smart fields will be equipped with the latest tech capabilities, wired for Google Fiber and loaded with touch screen kiosks, and even video screens on the field to connect traveling families. A boulevard will extend from the fields to an outdoor plaza, surrounded by 79,000 square feet of restaurants, retail, and entertainment venues, as well as a 120-room hotel. On the north end of that boulevard, the complex will include 90,000 to 100,000 square feet of Class A office space, including a medical/health care facility urgent care and sports medicine clinic. It will also have a multifamily component of about 200 to 250 upscale units. The amount of visitors the project will attract, based off the feasibility study, are impressive. Compared to 11 highly ranked complexes around the country and the 32 soccer complexes in the Kansas City metro, a state of the art sports complex of this magnitude can attract 120,000 attendees and 30,400 hotel bed nights, as well as an additional 200,000 annual player visitors for training, league play, camps and clinics. 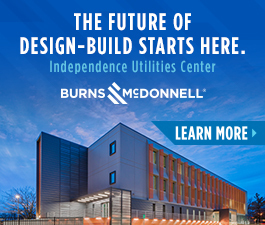 The project includes a number of financial incentives, including $20 million from the State of Missouri, $13.1 million in Tax Increment Financing, a $4 million Community Improvement District, and $21.9 million in TDD. All in all, the project will receive up to $60 million in total public support. Brown says the entertainment district will finally capture dollars that leave Eastern Jackson County for places like the Country Club Plaza, Zona Rosa and Park Place Leawood. Today, the Katy Trail has about 400,000 users which generate $18 million in revenue. Paragon Star will expand the Katy Trail by adding about 17 miles, which will generate an additional $5 to $6 million a year. The team also plans to restore the Little Blue River on the project, so that users can fish and kayak there, as well as offer zip lines and rock climbing. The project incorporates a number of sustainable concepts. The team is exploring LEED design, using natural light and ensuring the project is walkable and pedestrian friendly. Brown says the site will generate alternative energy sources and incorporate a site-wide recycling program. The team is a collection of players from Paragon Star LLC, Spectrum Strategies LLC, Bushyhead LLC, BNIM Architects, GBA Inc., Fogel-Anderson Construction, Land 3 Studio LLC, HSMC Orizon, AREA Real Estate Advisors, Game On Sports Development, Clarkson Construction, and Superior Bowen. 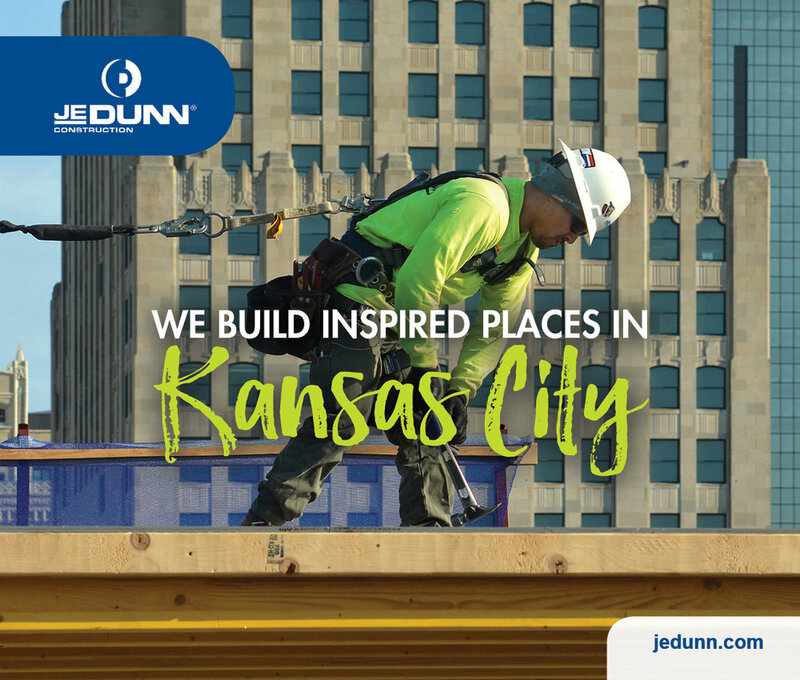 Other partners on the project include the City of Lee’s Summit, Jackson County, the City of Kansas City Mo., the U.S. Army Corps of Engineers, Mid-America Regional Council, State of Missouri, Missouri U.S. Congressional Delegation, and the Missouri General Assembly Local Delegation. Interested in other CREW KC events? Check out the group's website here.